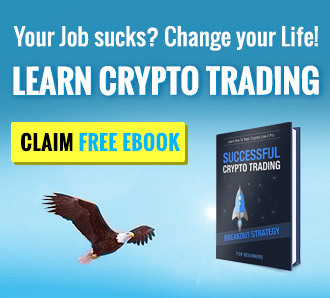 One of the best sources on the internet when it comes to crypto trading strategies, is the new ebook “successful crypto trading for beginners”. The reader not only gets the whole field of crypto trading precisely explained, he also gets a whole set of very detailed trading strategies with explanations of the exact market scenario, where to find buy and sell areas in the scenario, and even how to effectively protect the trade from a painful loss. The major intention of the ebook is to teach the reader how profitable crypto trading works in detail so he won’t be dependent from any leaders in the field to tell them what to do. This ebook is really amazing – with this piece of content you definitely get how the profitable game works. One of the advantages of learning new things is that you do not know anything about it. If you are new to trading, claim it! There’s nothing wrong with being new with something since we were not born with the knowledge that we haven’t worked hard for. Pairs Trade – Taking the idea of long/short trading and making a profit on whether the price goes up or down. This obvious strategy was not realized until the 80’s by people that love numbers. Scalping – A trading style (not selling tickets for a higher price) that is the most active one to date. This is because a trader that follows scalping takes advantage of smaller gains but on a larger scale. Multiple entries and exits will pile up and make a hefty sum. Day Trading – As mentioned earlier day trading is the buying/selling of assets within the same day. Trading on the News – Trading on the news simply or generally means trading in times where something “happens” like a terrorist attack or natural disaster that forces the asset to plummet. Buying at this time is the cheapest since everything goes down so fast but would also have a greater risk of not going up again due to involved instances. Mentioned above are generally known strategies that you can start from. There isn’t a definitive idea of what trading strategies are and every great trader today has a couple of trade secrets that they have devised over the years and perfected it with experience. Copy trading is a feature that is being introduced by a couple of trading websites today with the examples of eToro.com and 1Broker.com. What happens is that new traders will be able to copy trades from seasoned veterans of the trade making it easier for less-experienced traders to know what to buy when to buy, and of course, when to sell. 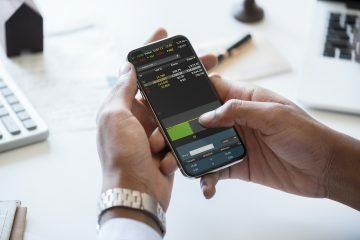 The general gist of copy trading is that new users will not need to go through the hassle of learning how to trade and earn at the same time with lesser money being shelled out. But if you are a strategist, you will easily look at it as something that you can use to your advantage. Look for companies or ideas that have potential to raise the value of their coin and do proper background checks before investing. The reason why people should invest in ICOs is that the price is so cheap and the potential of the price blowing up (to be the next BTC) is something that is too huge to ignore. How to find out about the start of new token sales? Where can I see this information?